Traditional IRAs and other retirement accounts are exempt from income tax during their owners’ lifetimes. When these assets are passed to a beneficiary, they are subject to estate as well as income tax to make up for the absence of taxation while the IRA owners were alive (this double-taxed income is known as “income with respect to a decedent”). This potential double taxation of IRAs and other retirement accounts makes them ideal candidates for charitable gifts. 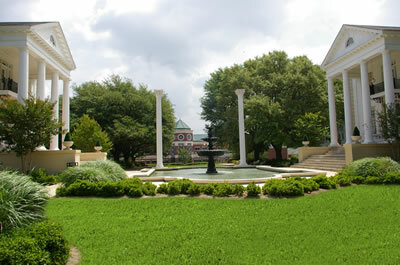 IRA owners may designate Belhaven University the beneficiary of their IRA. Naming a charitable organization like Belhaven University as a beneficiary of a traditional IRA is probably the easiest and most tax-efficient way to make an estate bequest, and the least impactful to heirs. The owner simply needs to complete a change of beneficiary form for an IRA, naming Belhaven as the beneficiary, and specifying what percentage share of the IRA will be passed on as a gift to the University. Belhaven will receive the full amount of that share, tax free. No change in the owner’s will is needed. Individuals over the age of 70 ½ can make tax-free gifts at any time from their individual retirement account (IRA). You must be over the age of 70 ½ at the time of the gift. The transfer generates neither taxable income nor a tax deduction, so you benefit even if you do not itemize your tax deductions. Your IRA charitable rollover gift can satisfy all or part of your required minimum distribution. You may transfer up to $100,000 directly from your IRA.